SERVPRO of West Hamilton/Oxford knows how devastating fire damage can be to your Hamilton home or business. 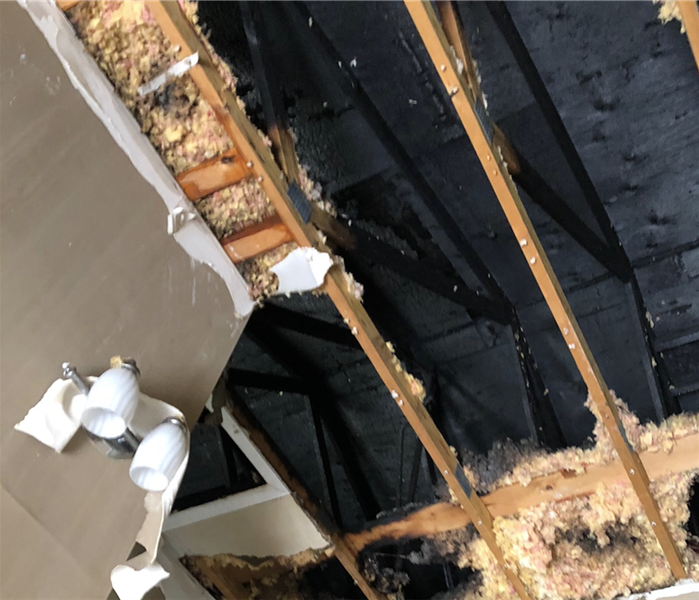 Your property can experience severe fire, soot, and smoke damage as well as water damage from firefighting efforts and fire suppression systems. As a home or business owner, you may feel stressed and overwhelmed after a fire disaster, and you will need the best fire damage restoration expert to guide you through your crisis. SERVPRO of West Hamilton/Oxford has the best team and equipment to make any size fire damage "Like it never even happened." Why Choose SERVPRO of West Hamilton / Oxford? SERVPRO of West Hamilton / Oxford is dedicated to responding immediately to your Hamilton fire damage emergency. A faster response is the key to help prevent additional damage and reduce the restoration cost. As a locally owned and operated business, SERVPRO of West Hamilton / Oxford is strategically located to respond quickly to your smoke or fire damage event. When a major fire or disaster event occurs, we can call upon our national network of 1,700 SERVPRO Franchises and special Disaster Recovery Teams if we need additional resources or personnel.